Edgar Cayce (1877-1945), along with various psychics, prophets, channels and seers, foretold (and still foretell) of potential EARTH CHANGES that are directly related to the coming of a NEW AGE upon Mother Earth. A researcher of the information forecasted by these many sources will quickly find various scenarios and happenings spanning varying degrees of land mass alterations, changes and/or catastrophes, much of which is contradictory between sources. The existence of such contradictions does not mean the information is false, nor does focusing on any one source mean it is true. The discrepancies exist for many reasons. The primary reason is we are a mass consciousness of humanity that has freedom of will. Little changes within our conscious energy field can have massive positive results, or alternatively, if we collectively are failing to make much change within ourselves, we are passively acknowledging that we are in acceptance of whatever needs to occur on the physical plane to force us to change. Cayce himself had said we always have the power to avoid earth catastrophes of any level. In those days he referred to it as the power of prayer, of tapping into that connection to God. In our work, we refer to it as our core essence as Divine Eternal Beings who ARE ONE with the GOD FORCE through the Journey of the Soul into Full Remembrance, which is the deepest form of prayer one can accomplish. The NEW EARTH is indeed going to have GOLDEN ETHERIC CITIES OF LIGHT. These cities have been referred to 2000 years ago in Biblical terms as “the Land of Milk and Honey”, which was a reference to vast abundance of two items that were considered delicacies in those times. In our modern days of 1989, the I AM AMERICA organization foresaw 5 of these cities within North America. Another popular channel Michael Quinsey has said: “The Cities of Light of which you are now becoming aware, will give you a sample of what it is like in the higher dimensions. 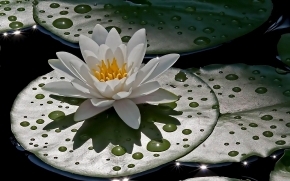 Yet they are more in the nature of Healing Centres specifically prepared to help you raise your consciousness levels. You will take the fast track to remove all the vestiges of your present dimension that have kept you within it.” (Sept. 2, 2011.) A year later he had this to add: “There will be ample facilities, including the Cities of Light, where you can be healed as you are to be fully restored to a prime condition. Eventually you will also be able to reverse the aging process and return to a youthful appearance, and so it will go on until you become a Galactic Being. All of these changes await you and they are not too far in the future. Think positively about them and you will be helping to manifest them much sooner than we have allowed for.” (Sept. 19, 2012). As Quinsey noted, these Golden Etheric Cities are “healing centers for your consciousness”. Basically what the information is telling us is an emphasis on “consciousness”. Many people simply hear such words and take away the “healing” part and do not consider what the “consciousness” part means, instead feeling it will be something like a free healing clinic. This is not correct. Louise L. Hay has written and spoken for many years on the topic of dis-ease in the body being directly related to our state of being stating, “I wish the children could be taught early on that our thinking creates our experience.” This is the higher dimensional pathway for healing, and is what Quinsey meant. The Etheric Golden Cities will be centers for learning how to heal all parts of ourselves, not just the physical. We accomplish this by doing the inner work of self-awareness in our ‘consciousness’ to remove elements within us that have, over eons of time, kept our existence in states of dis-ease or dis-harmony. In short, it is purely about doing inner work just as all the great spiritual Masters have been telling us for those same eons of time. What form does that INNER WORK take to create this healing? In our Academy teachings, we have spent the last four years tapping directly into exactly what the NEW AGE of the NEW EARTH is all about so that you don’t need to sort through the varied sources out there and patch together an understanding. We have done that for you. We actually visit these cities in our conscious awareness so that we can receive the healing we need. As AA Michael, in speaking about the New Earth, has stated through channel Linda Dillon, “That is a very concrete reality and there are many of you out there who are very conscientiously building and working daily with the Cities of Light. Do not think this is simply a pipe dream, it is not and you are seeing the fruits of this.” (Sept. 8, 2012). Because of the importance of this work, we are releasing a pre-release set of audio teachings from our conscious meditative journey visits to the GOLDEN ETHERIC NEW EARTH CITIES. What occurs in these teachings is rather profound. We are given a vision of what the CITIES look like currently (as they are also in a process of being built and expanded). We then hear from a Being that has a major stake in having the upper earth citizens raise their consciousness (Lord Adama of Telos, capitol city High Priest of the Inner Earth Agartha Network of Cities), so that the Inner Earth citizens can once again walk on the upper earth with their brother and sisters of GAIA. 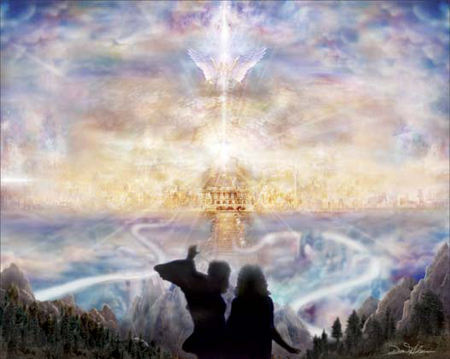 Next the Spiritual Masters and Light Beings, such as AA Michael, instruct us regarding how we can learn to assist ourselves within these cities. Finally, in each teaching journey throughout the transmission, we always receive the higher frequencies that have our Light Bodies learn to shift and accept higher dimensional energies within our full body system (of the physical, emotional, mental and etheric bodies) so that it is not just about an informational teaching. Originally the information received by the I AM AMERICA organization related five (5) cities, their approximate etheric location above the surface of the earth, and the qualities that city would assist us in achieving. They stated the Five Golden City Vortices of The United States are: 1.) Gobean: Arizona and New Mexico; Qualities: Transformation, Harmony, and Peace. 2.) Malton: Illinois and Indiana; Qualities: Fruition (fructification), Attainment 3.) Wahanee: Georgia and South Carolina; Qualities: Justice, Liberty, and Freedom 4.) Shalahah: Montana and Idaho; Qualities: Abundance, Prosperity, Healing. And 5.) Klehma: Colorado, Kansas, Nebraska; Qualities: Continuity, Balance, and Harmony. We now know that there are 22 GOLDEN ETHERIC CITIES that have many more qualities than first understood. These cities of Light in fact each relate specifically to the 22 RAYS OF GOD, as each city is organized to bring forth the entirety of healing from a specific Ray (or Flame). Light, as we know, is a vibrational frequency, and each of the 22 Rays is given from the God Force to assist us in balancing and elevating our full consciousness in specific areas of our existence, in short: raising our frequency. “ . . . From the Etheric City that I AM presently serving in with certain Members of the Great White Brotherhood, We are releasing specialized Rays of Comfort, Peace and Healing for the wounds of this dear planet and her evolutions. It is such a Joyous Experience to be able to see, as the result of your Decrees, the instantaneous Manifestations of Perfection brought about by the Light Rays We send forth to do your and Our bidding, knowing that that Light of God cannot fail! “ – 1959; Godfrey Ray King/Guy Ballard (author of the I AM DISCOURSES) through messenger Mark Prophet. We have also learned that the names of the Cities are also more complex than first thought. For example Gobean, the earthly term for the first city, is known spiritually as Goloneiah. It is the City of the Blue Ray and is not just overlighted by AA Michael, but his counterpart, AA Faith; as well as the Elohim Masters Hercules and Amazonia. Most importantly one of the main teachers of this city is Ascended Master El Morya, the current Ray Chohan of the Blue Flame. His role is to assist us to fully understand the WILL TO DO which is the main quality of the Blue Ray that is required in order to bring about changes within us. If you are interested in using our teachings to assist you in understanding and incorporating the healing that can occur in these Golden Cities of Light, we now have a pre-release set of audio teachings of our visits to these cities. It is only being offered for a limited time at a deeply discounted pre-release exchange rate until we can edit the recordings. NOTE: It is a pre-release because these are raw unedited audio format files. If you are one who simply desires the knowledge and frequencies of the teachings, (and are not annoyed from the lower mental mind’s control mechanisms of the imperfection of extraneous noises that can be found in live recordings), than these audio files could be for you. Use this link to view the website details of this pre-release audio set of the NEW EARTH GOLDEN ETHERIC CITIES OF LIGHT TEACHINGS. This is a limited time offer. *References or quotes from non-WTC sources does not imply endorsement of any information not specifically referenced. Use for commercial websites, blogs and printed or written reproduction requires written permission. This is Lord Metatron at your service. It is my pleasure to guide each of your through the June Solstice in 2015. 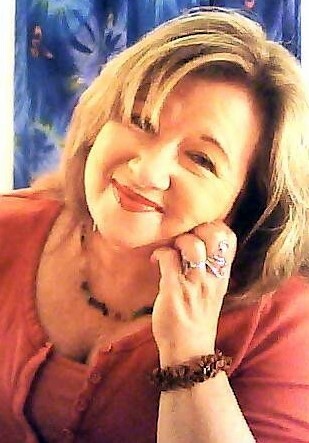 It is a magnificent time of creation and I am very excited for the prosperity and light that is coming into the planet. At this time the reflection of individuals that are walking a Pathway of the Light is one of great challenge. This is due to the changes that have to be incurred in order for the Light Infractions to be placed within the Earth. GAIA is readying herself for more acceleration just as each of you has been doing within your own pathways. Let me talk about the Metatronic Seals and what they mean for humanity at this time. Each of the seals are represented by the 12 Strands of DNA and is directly related to an individual’s acceleration upon the Earth. Each of you have a Solar Angel that works with you through the first four Initiations of Mastery. If each of you could see the Solar Angel that you are, you would understand the concept I am trying to convey. As you go through your initiations and accelerations, you are allowing your physical body to hold the higher light forms which will activate your higher strands of DNA, but without going into the depth of your own soul’s history, it is much harder to achieve. You have chosen to embody upon this planet and at this time, it allows for the Remembrance to Occur within the physical structure. This has to be a consistent journey of the Self, but one that is very much contained within the origins of your Soul’s Purpose and how it will reflect your personality of the physical body that you have inhabited. Each time there is a change in the season upon the earth, humanity has the opportunity to incorporate the Solar Angelic qualities within themselves. Those of you that have been working within your own pathway have an opportunistic approach to the Self. This means that the opportunity presently lies within your own consciousness of what you shall incorporate physically and what you shall on receive within your higher consciousness. Because, you see, there is a difference between the two. You can have ascension symptoms within your consciousness and within your physicality. The Solstice of June 2015 is a movement into the next few months where there are grand opportunities for individuals that choose to embody more of their Solar Angel have the distinct ability to do so. It is a coming of a time that has been waiting for many years. You see, the Solar Angel reflects the initiations of Mastery. When one reaches the 4th initiation of the Higher Self becoming more embodied within the personality, then the Solar Angel has done its work for the physical vehicle. The Solar Angel goes back to the Source, and the Initiate then works on the higher initiations by accessing the Golden Solar Angel. It is then the embodied Higher Self essence’s role to continue on the pathway of the initiation from the 4th through the 7th. This is what we call Planetary Ascension or what Dr. Joshua David Stone labeled “Kindergarten Ascension”. It is just the beginning. Fully embodying the Golden Solar Angel represents accessing all 12 strands of DNA with the 12-Body system within the 12th Dimensional Physicality. 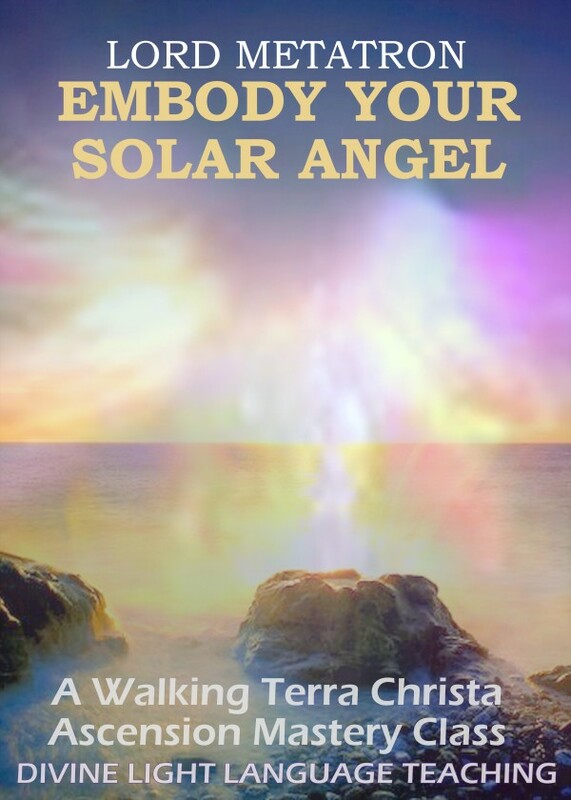 Our goal within the Spiritual Hierarchy is to have as many people as possible reach this stage of creation in which the Solar Angel returns to its space of Oneness as the Initiate arises into a new space of existence throughout the coming years. We know that each Equinox and Solstice the energetic patterns within the Earth change drastically. In June it represents the Light becoming ever so stronger than the Dark. It is a moment in time when all Solar Angels upon the planet within physical bodies unite together in ceremony and joy. In 2015 at this time the creation of the Solar Angels exhibiting these energies will be one of celebration of their Light. This does not mean that all individuals will reach the 4th initiation; what it does represent is that the Light Infractions become stronger and the Solar Angels inhabit the earth to assist humanity. The most important element is that the Initiates fully ground themselves with the Solar Angel in order to express the joy and gratitude of the journey, but yet, there is a coming together of many elements to create Completion. This completion can be in the form of an unawakened person waking up, it can come in the form of Lightworkers or Starseeds realizing that there is more for them than before, and it can mean that acceleration will occur in many initiates during this time. It could be the next step within a sub-level of an initiation; and there is no guide how small or large the acceleration can measure. You see the more light that is held, the more the planet can hold her Light. Being a Torch of Solar Angels Upon the Earth, remembering that the power of the energy lies in the journey of completion. Solar Angels being implanted upon the earth to assist humanity until they are ready to accept their role as Divine Sentient Being of Light inhabited upon GAIA. It truly is a moment of celebration and love for all of us. I am deeply honored to walk with each of you during this powerful moment of celebration. Walking Terra Christa is facilitating a Summer Solstice Ceremony on Saturday, June 20th, 2015 at 10 AM Pacific, 17:00 UTC. To receive information on participating in the call, we do require each person to register (once). We do provide an MP3 recording within 24 hours. IF YOU CAN – PLEASE DONATE TO SUPPORT THESE ENERGIES. assist individuals embody their SOLAR ANGELIC ESSENCE at this unique time. This 90 minute class will be held on Thursday, June 25 at 4:30 PM PDT. Part of being a mentor for the New Earth and a highly seasoned person on the Mastery Pathway is to share your own story. I believe (and so do my teachers in Spirit) that when I share my challenges, others can understand the process that we are all going through no matter what level of initiation you hold or how long you have been on the pathway of Mastery. I have been straying away from these writings; not because I don’t want to do them but time is not always on my side. As a teacher with my partner, Rev. Michael Aranathanara we live and breath the teachings of mastery both professionally and personally. We are challenged consistently by the way we think, live, and exist, but it is the only way of life I would choose. I think this is an important point to reflect upon – Choice. Each of us have chosen to be where we are in our consciousness and our lives. It has been guided from the Source of Light That We Are from our Soul’s existence into the physical being that we are presently. I think this is an important point to remember. As humans, we have the tendency to complain about what we are experiencing or unhappy because we are not in a better state of emotions or thoughts. That is our physical self and has nothing to do with the Higher Self. When we acknowledge the Higher Self within us, then that is when we have the ability to feel the peace, joy, acceptance, and all the beautiful adjectives that reflect the type of living that we want to experience. Until we actively work within these areas, then we are going to feel the lower aspects within our subconscious thoughts. We have to change them and this process is one that is probably the most difficult for all individuals that step onto this pathway. I want to share that every person that has self awareness is an Initiate of the Mastery Pathway. It’s just that they probably do not know it in their conscious mind. Working with coaches, teachers, and trying to find a better life within oneself is the first initiation. It’s when you step into the next initiation of fully working within the emotional body and then the third of the mental body that person is fully accepting their role of being an initiate. For some souls it takes many lifetimes to get to this point, but in our presently time-frame of energetic exchanges upon the earth, more initiates are going further within their pathway with deep diligence of their work. This is truly what makes this process a fulfilling experience as the soul is working within the body to remember, reflect, and remove the elements that have impeded their progress previously. It is at this time an initiate, a person, must delve deeper than they did previously to get to the root of their lessons that have not been learned and acknowledged previously. It happens to be a moment of pure reflection in the process of the pathway and needs to be acknowledged on all levels of acceptance. I have been on this pathway of mastery since 1992; I awakened fully in the 1980’s. I had the ability to have many great gifts but not without the challenges. I studied hard, healed deeply the wounds of my past so that I could continue the journey within myself. It is at this stage of my life that is most miraculous. There have been times in the past decade that I almost chose to leave the planet but my Higher Self and I Am Presence had other plans for this person known as Christine. I have grown to accept that I Am Lady Meleriessee although it times it seemed very surreal to me within the physical body. I have been able to be both physical and spiritual at the same time. For many years I held jobs within the corporate world and continued my spiritual teachings after hours. I worked hard to continue my pathway of mastery and was able to achieve the higher initiations through the depth of the work. When I arrived in Mt. Shasta, it was a wake-up call for many reasons. I could no longer exist in the 3rd dimensional world of the East Coast. I was still living on a 3rd dimension within the planet in Mt. Shasta, but the higher dimensions here were easier to attain with the help of the Telosians and Lord Adama along with the beautiful essence of the mountain. it is my home now. I was able to create a beautiful relationship with Rev. Michael Aranathanara. We worked hard together to both achieve a status of a divine partnership but it has not been without its lessons and achievements. I sometimes reflect to see if this is all real as it is hard to believe that I still exist in a 3rd dimensional world. Geographically, I do, energetically, we do not. We live in a higher dimensional level incorporating the teachings of Lord Adama, Lord Sananda, Ashtar Command, and many Beings of Light assisting us. Our house is set in a 10th dimensional frequency. So, when we go outside, we utilize the Unified Whole energies to assist us to stay in that frequency of light. It is just like the Telosians when they leave their sacred space; precautions need to be taken and clearing of energies afterwards. What this energy also does is catapult our physical bodies. We are accelerating so deeply that the physical body is being challenged immensely to receive the crystalline structure. I believe it is most challenging here due to the level of energies that are being emitted to us. But it has also allowed me, as the Voice of the Unified Whole, to go into higher states of acceleration to help our students to feel the vibrational changes that are necessary for walking towards the New Earth. So, yes, I have physical challenges that I deal with every day. The aches and pains that both Michael and I endure is not because of our ages, but due to the light frequencies we are trying to incorporate within the physical body. So this week I went to yet another level within myself. As I work with the higher frequencies of the teachings, Spirit is pushing me to ignite even higher voice transmissions that help attune others to the frequency they want them to receive. My sinuses have not been clear enough on certain times to bring forth these energies. So with the upcoming full moon and the Festival of the Christ of Resurrection, I have been asking for a clean and healthy body, “a new body so to speak”. You must be careful of what you ask for. Within a few days Walking Terra Christa was going on a Spring Break, I was to receive flooding of congestion coming out of my sinuses and throat along with my lungs. It has been quite a ride. I never had a fever but felt like I was going through a death experience, which I was. In Lemuria I died in the waters and drowned so I have been dealing with extra fluid in my etheric body for centuries upon centuries. During this transition I felt the death experience within me; not the timeline or the memory but the body dying but yet rejuvenating it at the same time with the help of homeopathy, herbs, teas, and healing energies. It does not matter where you are in the stage of your initiations, your etheric body can still hold so much debris within you until you arrive at a point in time where those energies no longer support who you are. This can be not only physically, but emotionally, and mentally. The process of knowing yourself in all ways is the most important element. And, that will change with time and movement through the initiations. In the lower initiations an individual is working more with the soul psychology work as the etheric body holds the subconscious thoughts from lifetime to lifetime. As one moves into the higher initiations (beyond the 8th), it represents the Etheric Body through levels of the physical as you step into Cosmic Ascension. A person can still have minor physical issues in the higher initiations. But the truth is that as the frequency of light increases, those minor physical element need to be rectified in order to stay grounded on the earth. That is the challenge we are dealing with presently by accepting the crystalline structure. In order to move towards the New Earth these are the lessons that we need to learn. My role has always been to have a direct communication that is very clear with the Spiritual Hierarchy. The Unified Whole Command has helped put many timelines and pantheons into wholeness so that these elements can be achieved. it is imperative that as we go through these challenges that we count upwards into the 144th dimension from 0 through 10, then increments of 10 to 140 through 144. This will take those elements that are stopping you from progressing into the Source of Light never to be experienced again. This also allows an individual to be responsible for themselves. For many years we called upon many angels and masters to do the work for us. That is no longer the case; as we become the Master, we must be responsible for our own healing. I also have worked very extensively with Dr. Lorphan of the Great White Lodge of Sirius and his team of healers along with my own team of healers that work with me consistently. I travel to Telos each night to meet with Dr. Lorphan so that I can be treated with their energies, their frequencies of light, to change my bodily composition. All of these elements have made a tremendous difference. I am still clearing out the energies from my bodily functions, but am now ready for a new change. I have been off of dairy for 25 years. I have been doing non-dairy, health-oriented products but that will be changing. I usually make protein shakes with Almond Milk; I am leaning towards making my own due to the ingredients they use to make the milk to sell to the public. I love my “fake” milk products, but my work and life is more important to me. I need to have a clear voice, not to be affected by too much congestion in my body. I want to do this so that I can be a clear channel of higher energies to help others. But the main reason is so that I can enjoy being on the higher earth without impeding elements to stop my progress. I plan to achieve what I set out to do many years ago. To transform my body into the pure light substance, to walk with the masters, to help create the New Earth and to teach others to do the same. In Summation, I want to say that whatever you are being challenged with presently, work with the Unified Whole Command along with the many masters and angels of light to assist you, but take responsibility of being the caretaker of your creation. The Festival of the Christ represents the Resurrection along with the upcoming full moon and lunar eclipse. Everyone is going to be challenged deeply including Gaia. Her lands are going to be healed but there can be repercussions in the lands first. We must not step into fear, anger, or victim-hood. It is our role to be the Master no matter what the level of experience we are holding. Be strong, call upon the Rays of God to assist, and remember you are not just the physical self or the emotional or mental self. You are a spiritual being trying to be Who You are Supposed to Be. We are all in a state of Remembrance. We have just gone through out own Resurrection phase; The Festival of the Christ is so aligned with each of us individually in this day and age. It is no longer about Jeshua or Jesus Christ; it is about the Christ Consciousness within us. How can we not be affected in this time of extreme change. My story is no different. A week before the Festival of the Christ, I was feeling very unsettled. My work was not flowing as it should; I was stymied and not able to do the tasks that were necessary. Private sessions were not coming to me, and I was contemplating the same old issues, “do I need to go get a job again?” I was laid off of my corporate position some 18 months ago which was the biggest opening of a doorway that I could imagine. My work is continuing but I knew that something had to shift. When these periods of inactivity occur, it is always a sign for me to make some changes. I was conversing with a very special friend in Bulgaria that seems to know me more than myself at times. He is a starseed and truly has helped me in so many ways. He kept saying to me, “You are nervous, what is the matter?” I realized I was nervous. I was sitting moving my legs not knowing what to do but yet something had to change. He looked at me with his blue galactic eyes, and I just started tearing. I felt Master Babaji who is so close to my heart and I saw myself sitting on a cliff. I was sitting ~ that was the problem. Babaji said, “Christine, you must jump. It is time to jump right now and don’t stop jumping.” With that, I felt this push and saw myself flying through the air. I looked at Asen, and said, “I need to change my status of receiving funds. It is not working.” I knew I needed to change in the way I receive payment for my services and it had to be on a fifth dimensional level, but how do I do this??? That was the perplexing part. Asen was very sweet and then the tears stopped. I was empowered once again and knew I would receive the right answers. I spoke to a couple of friends and knew that I had to offer all my classes on a donation basis only. This information I was receiving was way too important to let money stand in the way and isn’t that what the fifth dimension is about? There is no exchange of cash; only services. It took me a few days and I was guided to this slogan “5th Dimensional Services Philisophy” which meant that all classes and calls would be on a donation basis ~ no one would be turned away. My private sessions would be discounted to what an individual could afford or on a bartering system. I had decided to keep the prices on the site only to show my worth as some individuals do not understand this concept. It took me some time to feel it within but I always knew for eons of time, that my services were never a business. I am integrated fully with the Christ Consciousness and when I channel the Cosmic energies, they are me and I am them. I have studied long and hard to get where I am but that is my pathway. I open up the energies for others to receive deeply as I have and some individuals have a hard time connecting to their higher selves. I have seen this happen in the last couple of months with the healing I have been doing. My energies are so part of the God Force that when I work with someone it just is there, comes through me, and activated easily and effortlessly. I attribute this to fully being within my I Am Presence and not allowing the mental level to get in the way. Three people that I have worked with recently all have received their Higher Self within their body. At first I thought it was just a coincidence but then it happened two more times. The last time it was with a friend who was staying at my house. We intended it to be so and she slep in my living room with the ascension columns. She now is more calm and is centered deeply within her Being. I do not share this to boast but only to speak out loud in recognition of what I have achieved. I believe we all have these abilities. Jumping off this cliff with dear Master Babaji behind me accelerated this to happen. I am now receiving donations every few days which I was not before. I am so very honored to work with such special people and it has enriched my personal experience in my life. I also knew I had to stop my Mastery Classes as it was very low attended and the energies seemed not fresh enough in this day and age. Once I made that decision I was then guided to offer “New Earth Consciousness ~ Circle of Light” in which Lord Adama would overlight the energies to assist individuals in preparation for the New Earth. What an opening of a doorway this call would be. 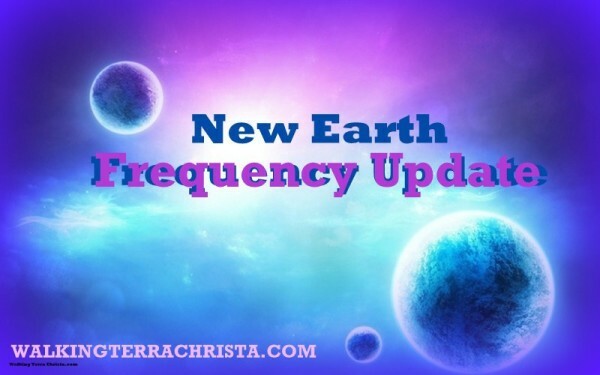 This is not just about teaching; it is facilitating the Spiritual Hierarchy to meet with each of us, the Lightworkers, to create the New Earth. As I was preparing for the class, I realized the magnitude of the information and energetics that were coming forth. No one was disappointed. It is still an introduction to the Ascended Masters and Light Beings but they are extending themselves to each of us as their colleagues, not the Teachers as it has been for such a very long time. This is exciting ~ I met Lord Adama 10 years ago in Mt. Shasta and was guided to work with the Telosians. They asked me to be an Ambassador for the New Earth of the Humans and the Telosians but I had no idea the magnitude of this event. It is here. I realized the times I have struggled, nearly lost my life, and wanting to leave the planet were all part of the Divine Plan. The times that I was so hard on myself because I was not in the mainstream of life teaching, but still going through my karmic issues working in the corporate world and challenging but hurtful relationships. I have worked through all of those issues finally..and I cannot tell you what a pleasure it is to finally feel the freedom that we all deserve. In this day after the Resurrection of this week during the Full Moon I fully feel empowered and feel the love of the Beings so physically within me. It just flows out to me and this is what I have been striving for my entire life. I could not do it before and I want to say to all the people out there that have come into my life and left, “I miss you and acknowledge you for how you helped me get to where I am. If you are to be in my soul family, I know we will meet once again. I love you deeply and eternally within my Being.” There have been many that left because of karmic issues and sometimes it was because we did not understand each other. It has taken me years to learn how to communicate with love and from my heart. I thank everyone for all of these lessons. This season of Resurrection for me is so very powerful. I don’t think I have felt it as greatly as I do in these moments. On Easter Sunday I will be traveling to the beach once again to sit within the Earth and the Sky and see Heaven and Earth within me as I teach so well to so many. The freedom of being by the Goddess of the Sea is so peaceful and enduring within my Heart. this is what I feel this season is about. Being at one with my Being, my I AM Presence and the Christ Within. Thank you for being in my world, my pathway, and allowing me to share so deeply of who I have become. It is an amazing journey and the joy and magic is just beginning. We are in an extreme time of change within our beings and the world around us is shifting into new frequencies every time we take a breath. We are being rattled in many different ways and our perspective can change from being balanced onto imbalance in a quick flick of the switch. Ours is a pathway that has been like no other although we try to relate it to previous journeys of many masters that we love and adore. There is nothing that we can do except stay within the moment of reflection that we are. There may be some that will not be able to handle what you have become or aspire to be. It is part of the ever changing qualities within each individual. As each of us reflects into the present circumstances, where do we turn for guidance? Are we to look towards the Ascended Masters and the Gods who walked before us? Are we one of those Gods or Goddesses and we just forgot our purpose? Are we here to remember, reflect, and release all that did not serve us previously? There are so many questions and just as many answers. It can be very confusing and frustrating for each of us as we go through this process. And what about the ones that are going through their own challenges and may not understand as you are trying to find the “new you”? There are so many dilemmas that each of us is facing ~ the ability to fully access our Divine Pathway fully and irrevocably without question. How do we get past the emotional frustration and the mental anguish that causes us to fall down into the abyss of the old? This is a constant battle but the battle is being won by every one of us in many different ways. How do we keep the friends that seemed so dear to us in one moment and in the next, they do not understand what happened to the special connection? How do we make them understand that it is a process of forgiveness for the self and for others? As we learn to empower ourselves, sometimes others can feel as if they are the ones that are being hit the hardest. The strain of friendships on the ascension pathway is one that is very challenging. It depends on the courage within that relationship to stand the test of time and understand within each other that we are all growing deeply. Within this growth there can be great moments of hurt, pain, and complete lack of understanding of what each person may be going through. But do we think of the other person when the pain is so great? How do we move from those lower bodies into the higher frequency of the Soul’s Essence to fully accept the challenges we come across? I present these questions today as I just went through a tremendous change within my own empowerment in which I feel I allowed my old self to rear its ugly head. I thought that I had fully moved through those elements into my higher consciousness. I have learned a very big lesson and that is, we are continually working through our human conditions and sometimes individuals come into our life to remind us of these elements that need to be fully removed and rejuvenated. I empowered myself by speaking my truth and in actuality, it came back to hit me in the face. I felt I had made the right choices but possibly projected them in the wrong way. My delivery was not what it should have been. I believe everything is in Divine Order but the debris that is left can be challenging to deal with on a personal level. I awoke this morning to great guilt that I had caused pain in this individual when I needed to speak my truth in a compassionate way. It was not received as such and in turn, I received much more than I had bargained for. This movement of my Goddess-Self fully allowed me to move into a higher consciousness personally as it has been a direct result of my teachings immediately afterward. Being a strong caretaker in my earlier existence these feelings came flooding back to me along with being a “sensitive” and feeling energies of not the highest quality. I previously had done much light work to clear the energies between us and felt that it had worked until I was feeling more arising into my field of awareness. This morning I awoke with great guilt of what I had created but yet, it was necessary for the growth of not only me but our relationship. I called upon the energies of Saint Germain and Lord Sananda to assist me. I traveled to my Soul Temple and they assisted me with issues I am dealing with. I was immediately taken into a huge waterfall of Violet Flame to purify the last elements of this challenge that were still affecting me. I stood there for quite some time as the transmuting flame poured through my whole being. I then was taken into a vault with the Golden Flame of the Christ Consciousness to continue to purge and renew my physical body. For some reason the physical was still holding onto the elements within me. Lastly, they took me into another vault for the Cosmic energies of the Platinum Ray. 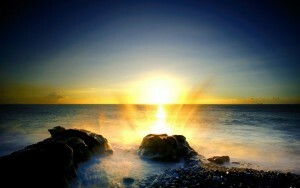 I took deep breaths and full embodied within me the essence of my I Am Presence from the Light of God. I came back into my awareness and felt fully rejuvenated and centered once again. The next step for me was to totally thank this person for the interaction that we have had. I thought it had been purged and renewed but not until this morning. I was still allowing myself to be put down because of my own inability to fully access my God Self within. This relationship has been beautiful and completely through me into a new awareness of myself. I thank you for being a catalyzer of my world and hope you can feel the same one day soon. 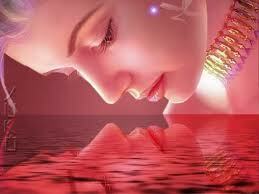 Our relationships are so powerful in our inner healing and outer reflection. As we move into the higher consciousness, we will no longer have to deal with our lower bodies. It is the process in between that can be very challenging but so very rewarding. As many who know me, I love deeply and share from my heart only the truth within me. I am not perfect or else I would not be here. I am striving to be the consciousness physically that I have embodied through the work that I do. It is our time to fully change how we react and not react. Reaction is the worst element that can happen in our lives, and I reacted to this situation in a way I am not happy about. But, it has taught me a deep lesson as I have healed even more deeply through the process. The energies that I am bringing forth are becoming stronger because of my challenges. I strive each moment to only access the highest level of frequency and speak it clearly in each moment. We are changing and others will not agree with us. This I have learned very deeply. Sometimes individuals are here to remind us of who we are and how we should be, some are here to heal through the process and continue the journey together. Whatever the situation entails, we are all walking into a new threshold of time and all we can do is embrace the challenges as they arise. Today is the day after 1:11:11 and I am in a completely different state of being. I did not think that I was and was doubting myself if the magic I felt yesterday would be a continual process for me. We had amazing ceremonies yesterday. 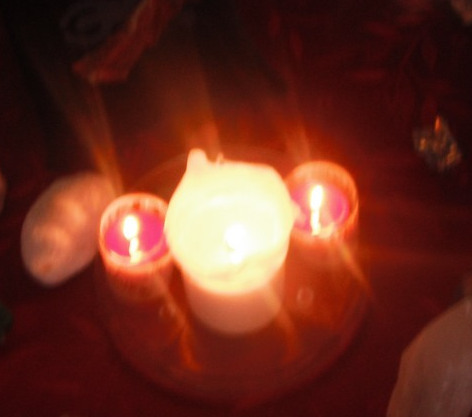 First, I connected with a friend of mine via the telephone to do a manifestation ceremony. Each of us set up our own spaces. Mine had my crystals, incense, sage, spiritual items I use with two red candles and one large white candle on top of a red table cover. We each took pieces of paper and wrote down exactly what we wanted to manifest. I opened up the energies with the Platinum Net asking for the Spiritual Hierarchy to be our guide. We started the ceremony about 10:55 a.m. I felt the need to clear the old before we went through the doorway of 11:11. Precisely, at 11:11 we felt the energies change within us separately but together. We then continue with our intentions each of us stating them aloud, and then saying “So Mote It Be” afterwards. I shared, then Robin shared. The energies were very beautiful and intense. I then channeled a special message for us from the Creative Source of Oneness. Then at 1:11 another friend of mine stopped by to do another ceremony. This time I felt it was to fully embrace the earlier manifestations we had stated. I used my crystal bowl, for the Sacral energies of creativity for the entryway into the 1:11 activation. The energies were immense. They stayed within the room for hours afterwards. Kathy also channels so we shared the wealth. I channeled Merlin which I am sharing in a link. Magic was everywhere. We were breathing it, the room was freezing with the Light, and we share tea together. Merlin suggested a hot toddy so I added some Drambuie to add to the occasion. 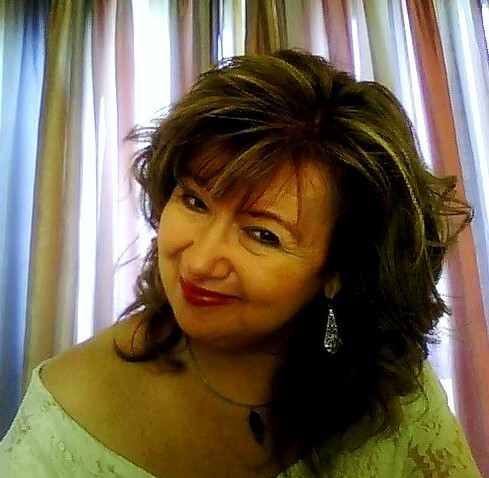 We relaxed had fun and then fully did another channeling which I am sharing in a video link. Kathy left and I wound down with some personal work, took a hot bath and promptly went to bed. My energies were completely gone and needed to re-energize. As I was writing my discussion for my class tonight, I had a special occurrence. We are honoring Lord Adama and Telos and I was writing some of the text I had put together. As I was reading “We are here to assist you and we will be joining you very soon,” I heard this bang at the doorway to my patio. I got up and there on the patio was a small snowbird on the ground. I picked her up and held her in a towel. She was blinking her eyes but very comatose. It was very cold so I came inside to get my coat and gloves. She was still in the towel on the cement and I picked her up again. I held her to my heart and was rubbing the back of her neck. I took a deep breath and asked for the Green Ray of Harmony and Beauty to come within us along with the Light of God. I felt the energies coming through me and her very gently. I felt her essence so deeply. We were really connecting in a very spiritual sense, bird and human coming together. I started channeling the angels in voice and she was perking up. It was a moment in time that I will never forget. Our bodies did not matter; just our hearts connecting with each other ~ two spirits coming together. It was about 10 minutes and I noticed that she was becoming more aware. She actually stood up on the towel and was looking around. With a quick motion, she gathered her strength and flew away. This is so representative of the energies of 1:11:11 ~ coming together with others in Oneness. Here I was doubting that I could feel the magic, when I am reading about the Oneness, and then it is manifested right in front of me immediately. I am so moved and honored in this moment. Our spirits connected for both a few moments and it was my epiphany today. Thank you, Spirit, for giving me this gift in this moment. So I now integrate the magic within me every day this point forward no matter what my outside circumstances and that will not dictate my life. The only focal point I will intuit is my I AM Presence fully activated and within each moment. Yes, the magic is Me, it is You and it is each of Us Together.